Changes included extending deadline dates and updating PAPPG requirements. The goal of research funded under the interdisciplinary P2C2 solicitation is to utilize key geological, chemical, atmospheric (gas in ice cores), and biological records of climate system variability to provide insights into the mechanisms and rate of change that characterized Earth's past climate variability, the sensitivity of Earth's climate system to changes in forcing, and the response of key components of the Earth system to these changes. Important scientific objectives of P2C2 are to: 1) provide comprehensive paleoclimate data sets that can serve as model test data sets analogous to instrumental observations; and 2) enable transformative syntheses of paleoclimate data and modeling outcomes to understand the response of the longer-term and higher magnitude variability of the climate system that is observed in the geological and cryospheric records. Approximately 35 new awards per year will be made with a typical award duration of three years. The Division of Mathematical Sciences (DMS) in the Directorate for Mathematical and Physical Sciences (MPS) at the National Science Foundation (NSF) and the National Institute of General Medical Sciences (NIGMS) at the National Institutes of Health (NIH) plan to support research in mathematics and statistics on questions in the biological and biomedical sciences. Both agencies recognize the need for promoting research at the interface between the mathematical sciences and the life sciences. 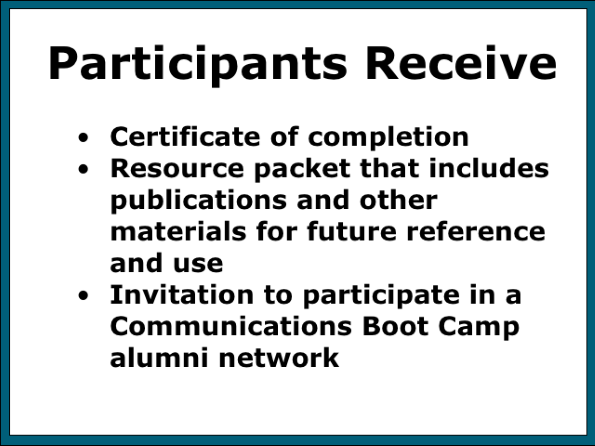 This program is designed to encourage new collaborations, as well as to support existing ones. Approximately 12 to 20 awards from this competition may be made by either NSF or NIH at the option of the agencies, not the grantee. The number of awards will depend on the quality of received proposals and budget availability. Up to $5,000,000 per year for new applications (up to $2,000,000 from NSF and up to $3,000,000 from NIGMS), subject to availability of funds and receipt of proposals of adequate quality. Award sizes are expected to range from $100,000 to $400,000 (total costs) per year with durations of 3-5 years. Politicians and political interests are redefining and reinterpreting science—with great persistence and impact. The public is routinely asked to make decisions about matters informed by science. The news media is endeavoring to share increasingly complex stories about science with the public. The majority of the public still respect scientists and value science, but they often find it challenging to discern who and what is legitimate. Simply adding to the noise will not provide individuals with the understanding they need to inform their deliberations and decisions. Scientists must become more skilled at communicating in impactful ways. AIBS is the scientific organization that promotes the use of science to inform decision-making that advances biology for the benefit of science and society. Our staff members have used their decades of science policy and communications experience to develop training materials and resources that provide scientists with the skills needed to successfully communicate about their research with decision-makers and reporters. To date, AIBS has trained more than 1,700 scientists. Cost: The registration fee covers instruction, materials and resources, breakfast and lunch during the program, and a reception on October 15th. $495/person Individuals who are not AIBS members or nominated by an AIBS MSO. A $100 deposit is due at the time of registration.Join AIBS now to save $55.00. Group Discount: For any group or organization that sponsors the participation of four or more individuals, the registration rate will be reduced by $30/participant in the group. Please contact jpalakovichcarr [at] aibs [dot] org for details.